According to PT Aneka Tambang (Persero) Tbk Annual Report 2015 as cited by JobsCDC.com, PT ANTAM (Persero) Tbk registered a 10% growth in total sales value of Rp 10,531.50 billion in the fiscal year of 2015 (ended in 31 December 2015) as compared with Rp 9,420.63 billion in 2014. 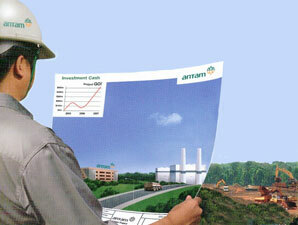 Referring to its annual report, ANTAM recorded gross profit of Rp 195.14 billion in the fiscal year of 2015, down 75.40% from Rp 793.36 billion from the same period last year (2014). S1 Metallurgical Engineering, Mechanical Engineering, Geology Engineering, Informatics Engineering/Computer Engineering, Information System, Law. Maximum age of 25 years old on April 2017. Minimum TOEFL score of 500. Willing to be placed in all unit/business units of ANTAM. S1 Metallurgical Engineering, Electrical Engineering, Mining Engineering, Mechanical Engineering, Geology Engineering, Industrial Engineering, Chemical Engineering, Economics, Financial Management Accounting. Maximum age of 30 years old on April 2017. Minimum TOEFL score of 550. D3 Environmental Engineering, Geology Engineering, Chemical Engineering, Mining Engineering, Accounting, Management. Maximum age of 24 years old on April 2017. JobsCDC.com now available on android device. Download now on Google Play here. Please be aware of recruitment fraud. The entire stage of this selection process is free of charge. PT Aneka Tambang (Persero) Tbk - D3, S1 Fresh Graduate, Experienced ANTAM April 2017 will never ask for fees or upfront payments for any purposes during the recruitment process such as transportation and accommodation.